According to reports, George Michael gave away roughly $500,000 to a charity in Los Angeles and spent significant amounts of time helping feed people too sick to shop and cook. He also donated a Mercedes-Benz to various volunteers at Project Angel Food. He first began donating to Project Angel Food in 1993, the same year his 36-year-old lover Anselmo Feleppa died of AIDS. After his lover’s death, George dedicated himself to philanthropy and raising awareness about the disease. And Project Angel Food, founded in 1989 by volunteers worried by the malnutrition struggling HIV sufferers faced, came to his attention. Richard, an Emmy Award-winning producer, said: “He did a lot of things for us very quietly. 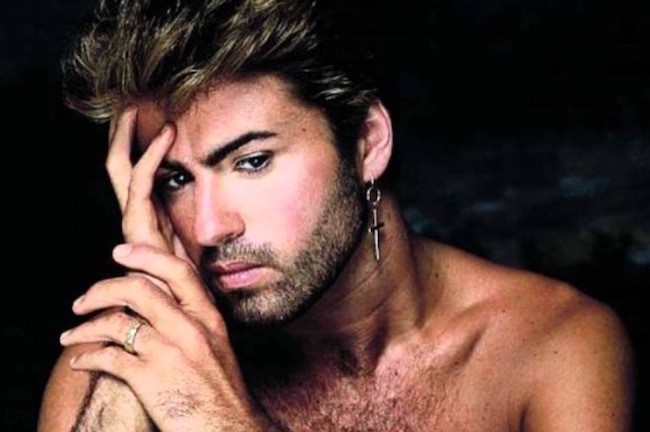 He told how in later years the singer would spend hours with his art dealer boyfriend Kenny Goss at the charity’s base – with George one day helping out in the kitchen like other stars who back the charity – such as Kelly Osbourne and Black Eyed Peas singer Fergie. “He wanted to work as a volunteer and our kitchen manager met him, and George made rice cakes,” he said. “It went well. He had a really great time. He and Kenny both volunteered. But when he came the paparazzi were chasing him and there were helicopters. The staff couldn’t come through the door because the paparazzi were yelling. Michael didn’t let Project Angel Food reveal his participating during his lifetime, although the charity commemorated the pop icon last year with an “award for leadership” at the annual Angel Gala in Hollywood, Towelroad reports. On his ladies and gentlemen he devotes a song to his lover. A much loved singer and such a loss. Wow, so cool! Good for him! George was a earth Angel with a voice of a Angel. I remember first hearing him I was like wow. From stories he was the nicest person. Heart of gold. He was beautiful inside and out. When he first hit the seen he was so pretty and beautiful. That smile. But that voice. Wow. I miss him too. RIP in sweet peace George and sing to my mom in heaven………..